Jose Gutierrez (Caisse d’Epargne) has won the 2008 Eneco Tour, repeating his 2007 victory. The Spaniard came second in Wednesday’s final time trial, stealing the race lead from Andre Greipel (Columbia). 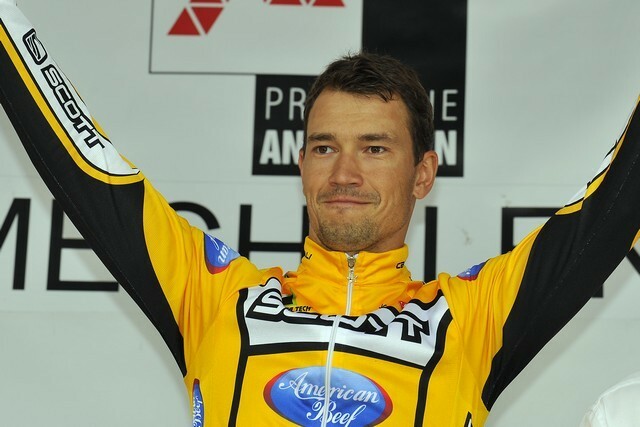 Raivis Belohvosciks (Scott-American Beef) won the final 18.8km time trial stage, with Gutierrez in second place. Sebastien Rosseler (Quick Step) came third. Thanks to both rider’s excellent final time trial rides, Gutierrez finished overall just four seconds ahead of second-placed Sebastien Rosseler (Quick Step). Australian Michael Rogers (Columbia) rounds out the final podium in third. Britain’s Roger Hammond (Columbia) moved up to 20th place overall. Belgian Jurgen Roelandts (Silence-Lotto) won the overall points classification.